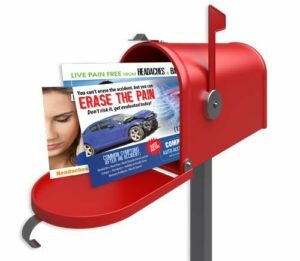 Create your own chiropractic marketing piece for FREE! Yes, you read that correctly… FREE! If you are happy with your design and like what you see, only then will you pay for your chiropractic marketing piece. 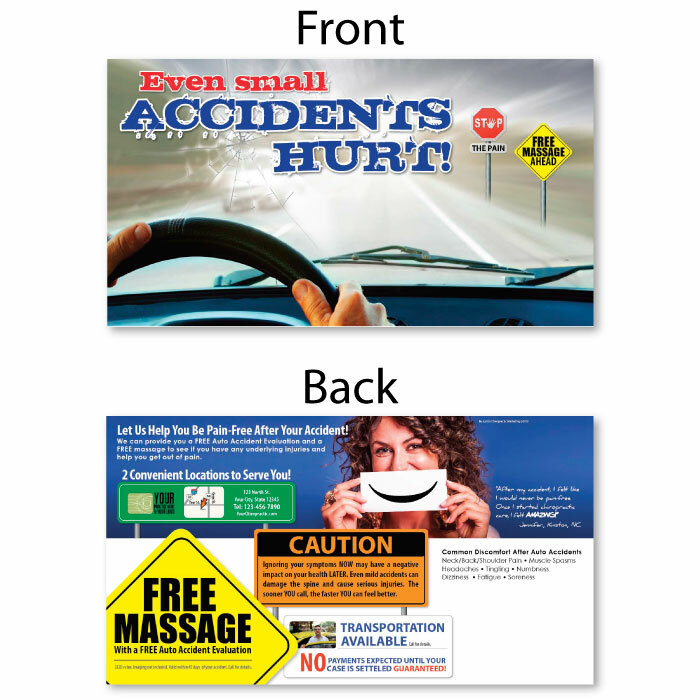 Whether you choose a chiropractic postcard, personal injury postcard or a referral booster, there’s sure to be something that will suit you and your practice on our Design Online page. Currently at the moment we are continuously adding more and more to the site. The Design Online page is fairly new to our business but we assure you we are pursuing to make every detail better and easier for you! If nothing jumps out and sparks an interest in your eye, visit our Online Print Store to see hundreds of designs right at your finger tips to purchase online. *Unfortunately at this time our Online Print Store does not have the option to design online. Whether you choose to design online or buy online from our print store; all our chiropractic marketing pieces provide much more than a visually appealing design. We provide expertise in layout, copy and assure each design contains the necessities for successful chiropractic marketing. We have invested years expending time and money in order to discover what really produces the best results in chiropractic marketing. Our knowledge will ensure you have a successful design every time! Our chiropractic marketing materials have immense value way beyond the cost of design. 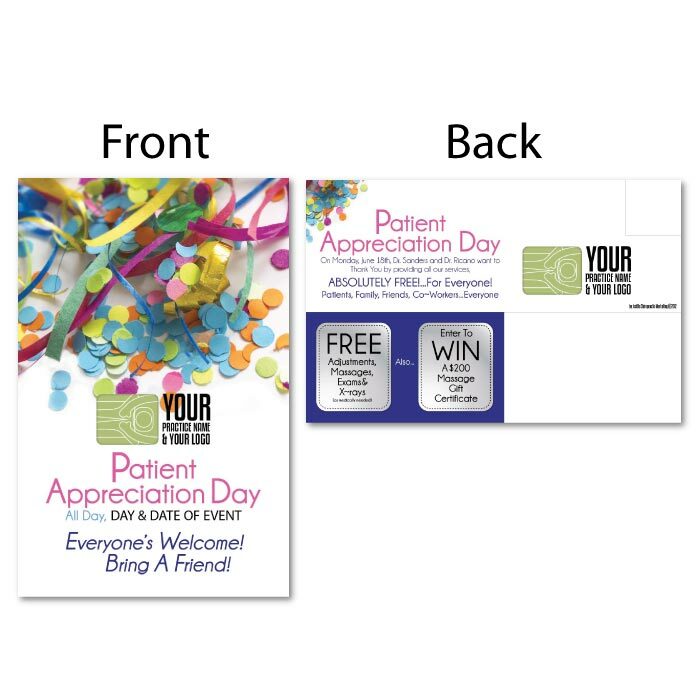 Choose a Chiropractic Marketing postcard or referral booster that you think will be a great fit for you and your practice! Simply click the CUSTOMIZE button below it and you will be directed to our online designer. Click on different parts of the postcard or referral booster to change text, pictures or even color and font. If you would like to add your own image or text, simply click on “ADD” towards the top of the window. At this point you will see a window that gives you three options, “add your own image”, “add your own text” and “images from our galleries”. Once you are satisfied with your design, select the quantity you wish to order, your mailing option and add to your cart to buy (this will be directly underneath your postcard). It’s truly that simple to create your own chiropractic marketing master piece! Free Designs: Just because it’s free doesn’t mean it’s not as good. When we put a postcard or referral booster online for FREE online design, there are certain elements that can’t transfer over from our design programs. Things like drop shadows and outlines and just an example. Rest assured, we attempt to get every design as close to the original design as possible to ensure a great quality marketing piece for you! Save Your Postcard: If you are feeling rushed, no need to panic. You can simply save your progress and return to it later (YOU’LL NEED TO CREATE AN ACCOUNT BEFORE SAVING). Above the postcard you will see a red bar running across the page. At the very far right side of that bar you will see three dots, click those which will open a menu that will give you the option to save, load or even print your design to show off to people. Unlimited Color Choices: Even though all of our chiropractic marketing pieces come with predefined color scheme that we feel works great, we realize not everyone will have the same taste nor should they. Keep in mind that branding your chiropractic marketing pieces together is very important. This helps with your patients being able to relate everything together without hesitation. Simply click on the text, box or in some cases backgrounds to change the color of that piece. Simplicity: Simplicity is key to a good design. By avoiding extremely busy clutter and text, your design will receive much more attention. Lucky for you we have taken all necessary information and put it into a design for you already. Most of the chiropractic marketing pieces you see on our Design Online page have content already written that will suit most all practices. However we do realize that not everyone will like exactly what is written on them, but at least it’s a great starting point for you.